Google is providing several tools worldwide to tech people. Who want support to resolve the issues online. Google team provides the platform to those, who want to express his views online by Blogger Blog. Google search engine is a top search engine and billion of visitors visit on that. Every people know about the wide range capacity and capability of the Google search engine. Make Soft And High-cover Album From Google Photos Login. They provide tools for language conversion, to help people of other countries to read the article in the local language and could collect information. Google has penetrated in all fields of technology and shared beneficial tips for people through updates. What Is The Google Photo Album And Benefits? The number of companies is available to make the online photo album and they are providing good results, now Google entered in this field to given something better from the present. The name of the site is Google Photos. This tool helps you to save your photo in cloud-free storage space and facilitate you to see your uploaded photograph from anywhere in the world. The best service they are providing is free back up, video loading up to 16MP with 1080p HD Quality. These are accessed from the computer, phone, and tablet. Google photo download system is so easy. Other basic properties are to save your photo, and Google assured about that. Your photo will be searched without any tag. You can share the photo with your friends and colleagues on any device. No doubt on the clarity of the picture. Still, this option is available in America only, but it will be spread worldwide in very short of time. Here I would like to clear one thing that you have to pay a little amount of $ for your booked photo. 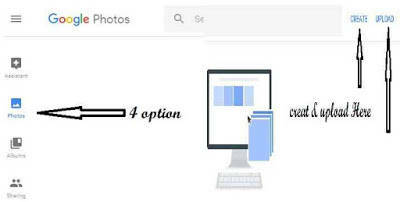 What Is The Process Of Book Photo Online On Google?. The process will be different from the perusing of the device like Desktop & Mobile. 1. Desktop Use For Photo - You have to first make your E-mail Id to register online. Try to make in G-mail Account. Now go to the site https://photos.google.com. and open by “Go To Google Photos”. You will have to require an Email account to Sign In. Now see your left side, click on the give photos book option as well as click on the start button. Four option will be given with the name ‘Album’ Shared Button’ ‘College’ and ‘Animation’ under the “Assistance” option. Second is photo and third property will arrange your photo category wise. Forth is the key to sharing the photo with nearest and dearest. You have to choose a book size from a given option and select a photo from 20 to 100. Now your selected photo will automatically save. When photo will be saved then ready to book photo. Now you have to pay the money by the simple click on the cart. 2. Mobile Use For Photo - It is very simple to book the photo online on your mobile set. You have not to sign-in the account. Directly go with the “Go To Google Photos” option. When you enter, a photo books option will see on your left side. Click on it and press the start button. Now you can opt for Books as per your likes. Select 20 to 100 photo and it will be automatically saved. Let's enjoy your chosen picture from the Google Online Photo Book Center. 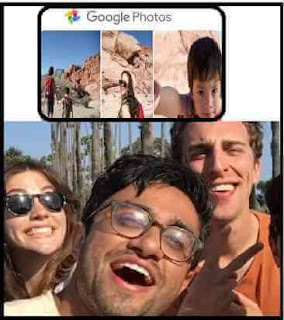 Google also provided Apps for the easiest to asses the photographs online.